A week ago the weatherman announced "Winter is coming... again!" and we got a nor'easter that brought up to 18 inches in some places. Between my home in Somerdale, NJ and where I work in Cinnaminson we got between 4' and 12'. What makes the storm odd though is because we're so late into March, the next three days had a high above 50 degrees Fahrenheit. So this was something of a freak, late season storm. In spite of this though not much was damaged. 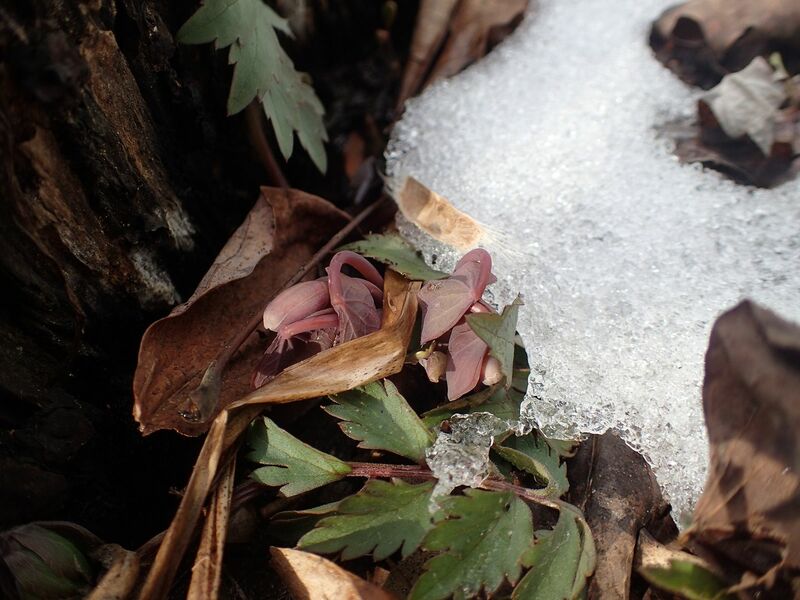 Out in the meadow garden the Camassia, Wild Hyacinth, have been giving off their own heat and melting the snow around them. 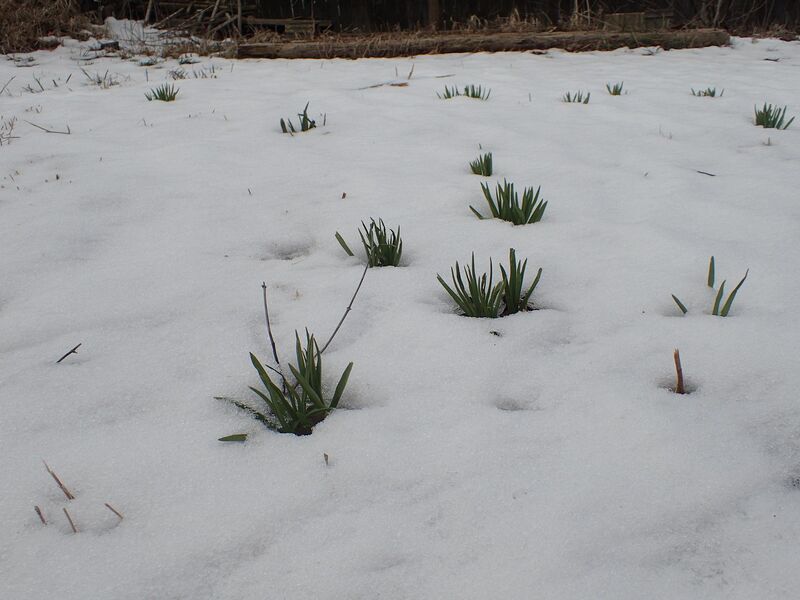 Once the ground is exposed around them the snow will melt more quickly as the ground warms up. 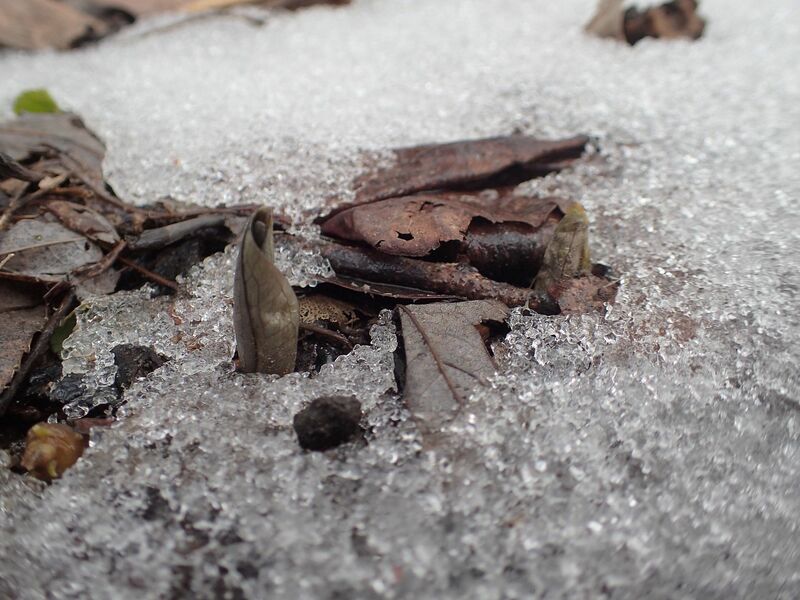 Virginia Bluebells, Mertensia virginica, doesn't do this as well but also doesn't seem that effected by the snow. 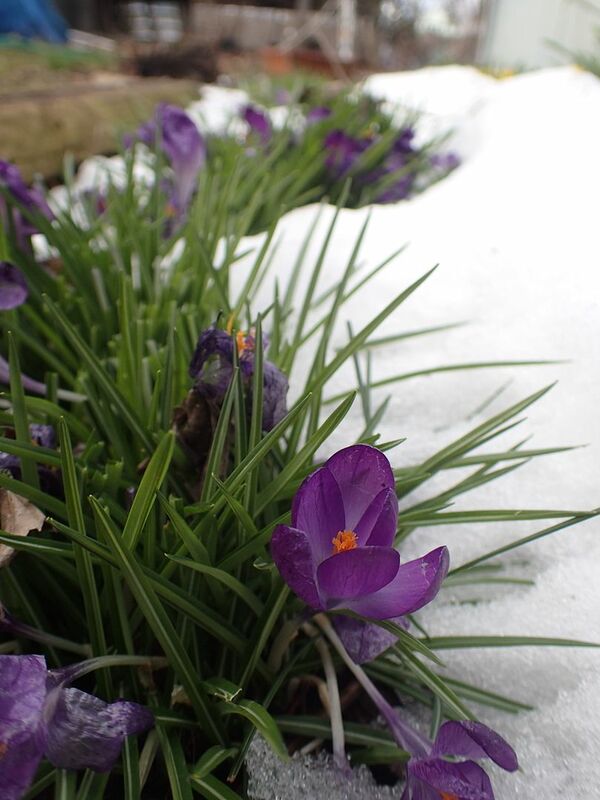 Crocuses have been flowering in force and were in full bloom when the snow started to fall. 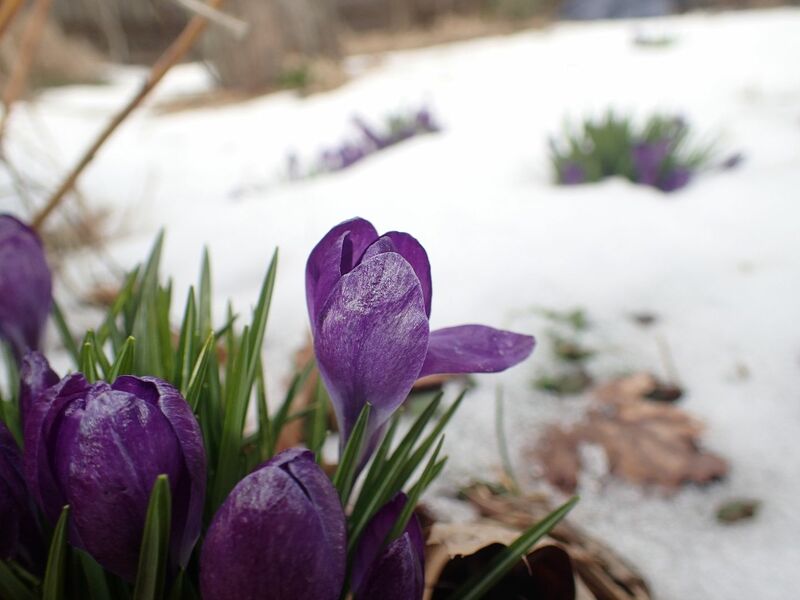 Most of the flowers were damaged to some degree as they had to remain closed up until the snow melted around them. They're not native to North America but do well here in both lawns and gardens. They're indigenous to the mountains of northern Europe and are often seen flowering when early in the season when weather conditions force other plants to stay below ground. Though pretty, at some point I intend to move them all out of the garden and into the lawn. After flowering their grass-like foliage blends right in with the other grasses. And they hold up to mowing for a time as well. Eventually they do go dormant over the summer but in the spring time the foliage gets in the way of other plants I'd like to be growing and need to find space for. 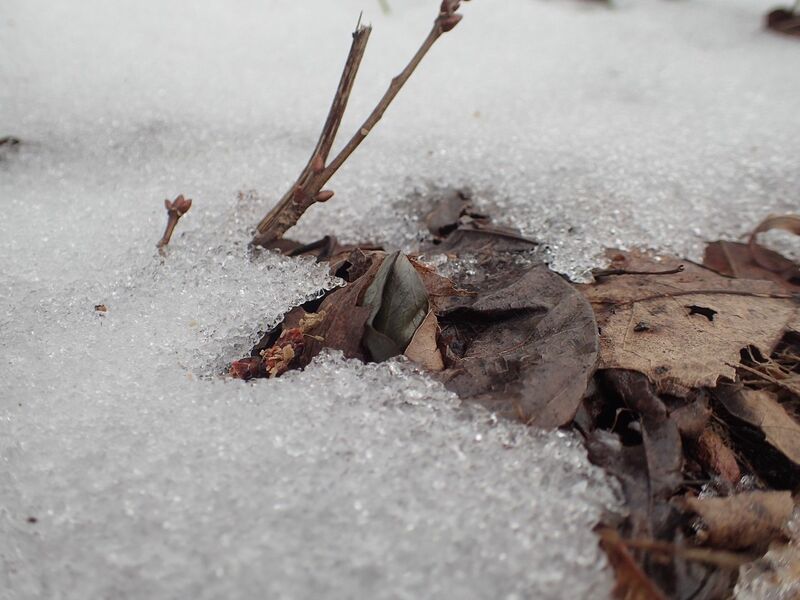 Trilliums are one such plant I think are more worthy of the garden and have been coming up through the snow just as well. 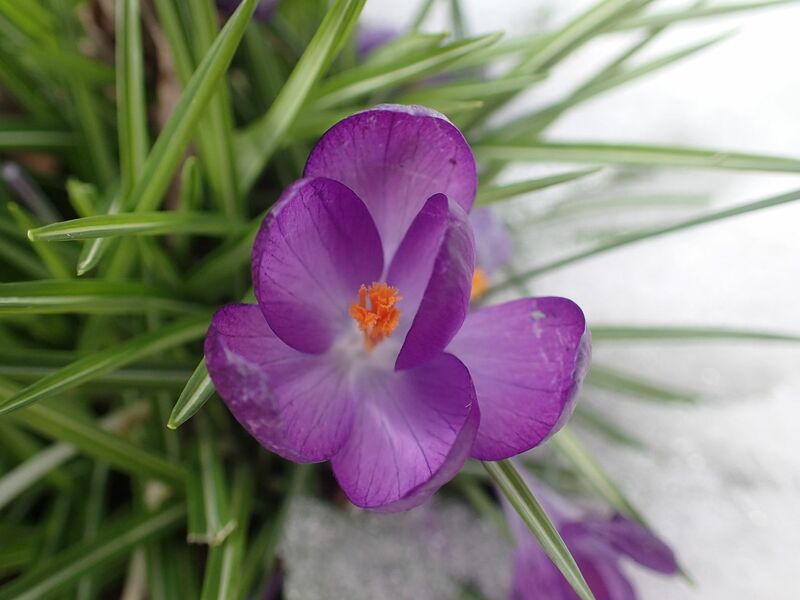 The three leaves to each plant remain tightly coiled around the precious flower bud within. They're mono-floral, meaning one flower per plant, per year so it's protection is of the upmost importance. 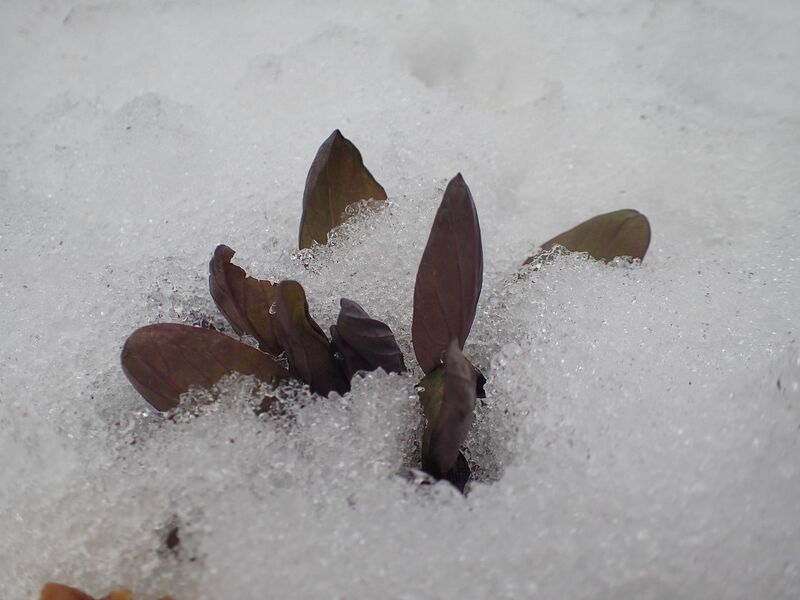 Another Trillium bravely poking its head out through the snow. 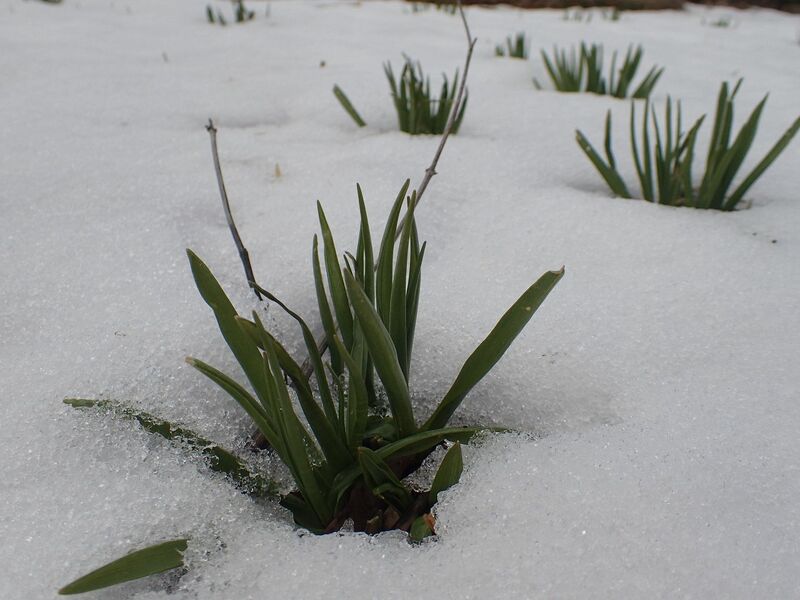 They won't really be flowering until the first or second week of May here but just south of us at the Mt. Cuba Center in DE they'll be blooming around the last week of April. Another native that's an early bloomer is this Twinleaf, Jeffersonia diphylla. It's a short lived flower but a pretty one.